We almost forgot about Ubisoft BlueByte’s Anno 1800, the latest in a long line of city builder/strategy titles that was pegged to release this year. The PC Gaming Show saw the debut of the first trailer and though it’s little more than a run-through of the in-game cities, it looks quite stunning. Check it out below. Studio executive producer Burkhard Ratheiser and community developer Bastian Thun were also on hand to talk about the setting which features industrial revolutions and how they will inform the gameplay. Furthermore, they discussed Anno Union, which saw players provide their feedback to the developer and thus alter the late game. 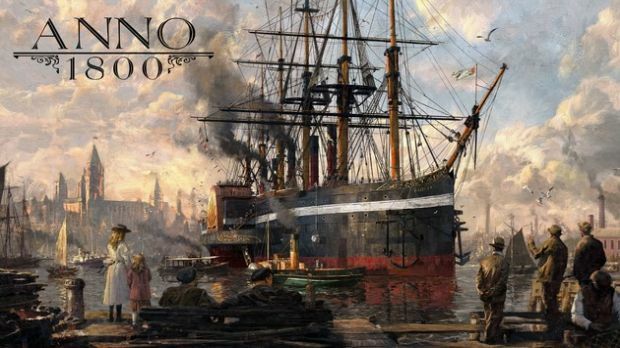 Along with sandbox and multiplayer modes, Anno 1800 will also have a story mode. Anno hasn’t really had a chance to go back to the past. Recent iterations were primarily futuristic in scope. However, Anno 1800 will change that and allow players to experience a pivotal time in history when it releases on PC this year. For more information on the Anno Union, head here.